Choco Mumbo Jumbo: Well, that's that, then! ...denial, anger, pain, frustration, bitterness and hurt. ...hiding, isolation, loneliness, solitude and confusion. ...a blur of remorse and tears. ...a fight to keep the threads of my life sewn and to keep on breathing. ...forgetting my passions like writing, cooking, reading and blogging. Thereby forgetting myself too. ...an re-awakening of all my senses. 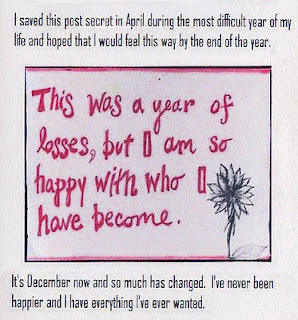 ...promises to build a better 2012 - and onwards. ...hunting for a place to call home. 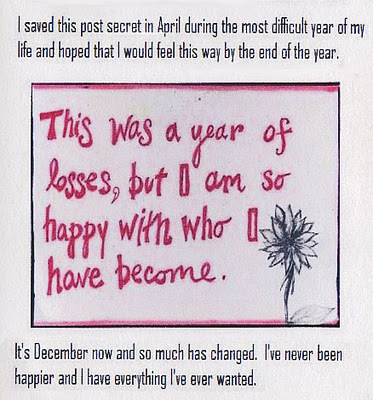 So I reckon 2012 has gotta be better - full of those sorta huge life changes. 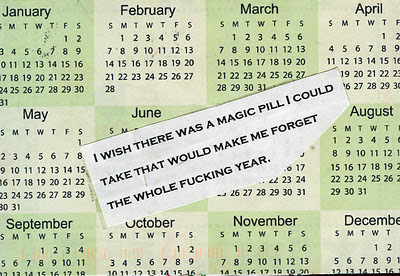 And I hope it is not my misguided optimism at this time of the year. Maybe S.O* and I are on our way to a Happily Ever After. Finally, a very happy new year to you! May 2012 fulfil every wish and dream, even those in the deep corners of your imagination. Shine and thrive, everyone! Wow. I certainly would never have guessed you were going through so much from reading your blog! Congrats for surviving and taking 2012 by the horns. Saal: always :) happy 2012! Azra: Thank you so very much. It is so comforting to know such a kindred soul! May your 2012 fulfil your wanderlust with travels to every beautiful island in the world! Po: Thanks! I barely blogged between Jan and June 2011 - I had retreated into myself. I wish you many happy writing days for 2012 and g'luck with your masters! Cyurkanin: Wishing you a blessed year. I hope you write many more stories for the world to enjoy. Thank you for the well wishes.